We have an extensive range of high quality furniture pieces which are ideal for the elderly and those with mobility issues and back pain. We pride ourselves on offering excellent value for money and superb customer service. If you have any questions at all, we’d love to hear from you, so why not give us a call, email us, or, if you prefer, you are always guaranteed a warm welcome if you choose to visit our showroom in Bexley. 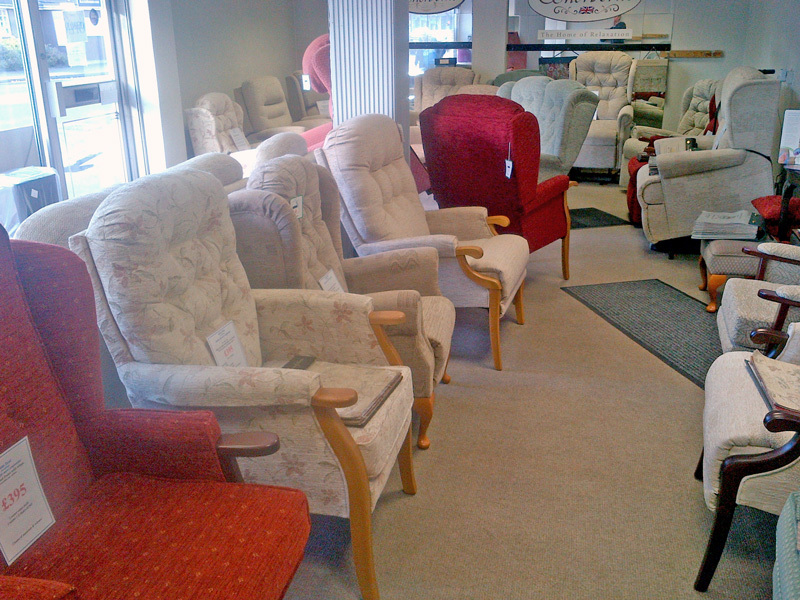 We have one of the largest displays of High Seat Chairs & lift & rise recliners in the South East.